Before strolling over to this year’s Sandestin Wine Festival – now in its 32nd year – we have some tips that will help you get through it like a pro. 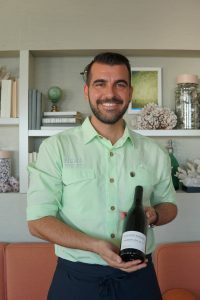 We recently sat down with certified Level 2 Sommelier Doruk Gurunlu of Pescado Seafood Grill & Rooftop Bar in Rosemary Beach and he gave us the scoop. The most important thing you need is a spit cup. If you don’t spit, then after the third taste, you won’t taste anything. You will also become intoxicated very quickly and won’t be able to enjoy yourself. The great thing is that if you are spitting, you can taste as many wines as you like and look forward to drinking them at the end of the day. So, ask the first vendor for an extra cup so you can enjoy the festival to the fullest. Start with the lowest alcohol content, generally sparkling wine or champagne, then move to white wine and finally to red wine. Your palate gets tired. This will help keep it fresh. Hydrate, and don’t go on an empty stomach. It sounds obvious, but many people don’t eat before they go or drink water throughout the day. If you want to truly enjoy yourself, you should do both. Don’t focus on points or vintage. Many people love to talk about how many points a wine has, but that’s not what matters. Drink what you feel like drinking. If you like it and it works for you, go with it. Make sure you take time to smell each wine. Think about what it smells like and try to determine the scents you can detect. Your nose is the key to your deep brain and will allow you to have a better understanding of each wine. 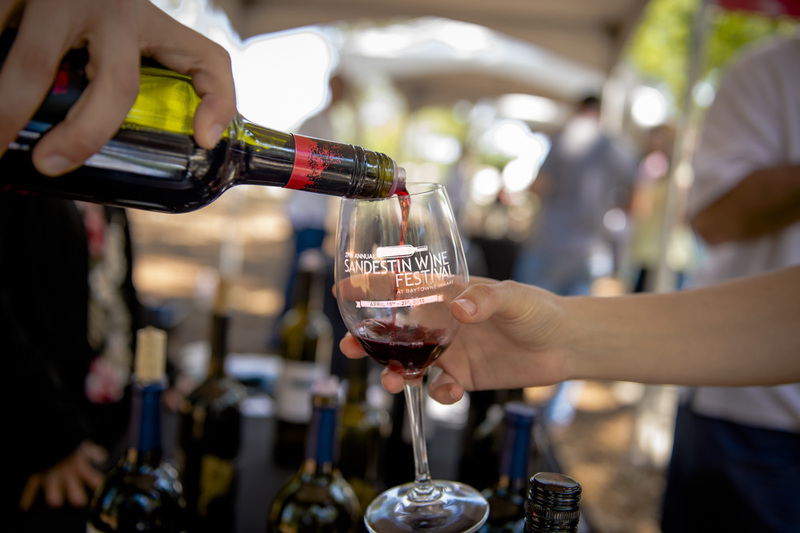 The 32nd Annual Sandestin Wine Festival will return to the Village of Baytowne Wharf at Sandestin Golf and Beach Resort April 12th to the 15th, 2018. 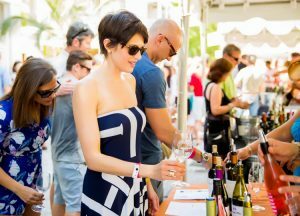 Named the “Best Annual Event” by Destin Magazine, the festival showcases four days of unique events that include wine dinners with celebrity chefs and wine tastings that showcase hundreds of wines. The grand tastings on Friday and Saturday bring in 1,700 and 2,300 guests respectively, making it a very well-attended festival. Wine novices can learn more about wines and sample from a comprehensive selection in all varieties, styles, and price ranges. Wine aficionados enjoy meeting winemakers, asking detailed questions, and acquiring hard to get selections. Attendees can immediately purchase their favorite selections at the ABC Fine Wine and Spirits Retail Tent at a discounted rate. Everyone gets to enjoy the live music, interactive experiences at the culinary tents, as well as the shops and dining establishments at the Village of Baytowne Wharf. Originally from Turkey, Doruk Gurunlu has lived in the United States since 2005 when he came to South Walton. Doruk has many passions – wine being one of them. He truly enjoys talking about wine with his friends and guests at Pescado in a way that makes the knowledge of wine accessible and relatable.